Zombie foreclosures, or homes that have been abandoned by owners during the foreclosure process but are not yet bank owned, are a serious problem for the runaway owners, the lenders, and the surrounding neighborhood. These abandoned homes attract vandalism and squatters causing blight to the neighborhood that can bring down the value of surrounding homes. According to The Orlando Foreclosure Attorney, approximately 1 in 4 active foreclosures in the United States will become zombies. While decreasing due to recent implementation of policies to speed up foreclosures, Florida still leads the nation in zombie foreclosures at 35,903 abandoned homes according to RealtyTrac’s Zombie Foreclosure Report released in February 2015. This is most likely having to do with Florida being in the top four states with the longest judicial foreclosure processes. According to RealtyTrac, it takes an average of 946 days in Florida to complete a foreclosure. Unfortunately, due to the low value and high liability of some of these distressed homes, banks are choosing not to move forward with the repossession of the home, charging off the debt rather than taking title. There are zero regulations in place that require the banks to track down and inform the owners of this decision. 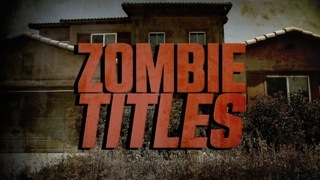 In most cases the owners have no idea that they are still responsible for the property and may never escape the debt the zombie title terrorizes them with. There has not yet been a universal solution to fixing this colossal problem facing the housing market due to the fact that every zombie property may require a slightly different solution. However, there is one option that gives investors an opportunity to help in this matter as well as personally benefit from it. Daren Blomquist, the Vice President of RealtyTrac explains that “For real estate agents, as well as buyers and investors, the zombie foreclosures represent an opportunity to identify a distressed homeowner who has already moved on from their home and is therefore much more likely to be interested in selling that home via short sale than a distressed homeowner still living in the home.” This is a particularly ideal situation for fix and flip investors who are looking for a bargain since the value of these homes are approximately valued 22% below what an occupied foreclosure would realize. To find these deals, local real estate agents can assist in contacting the distressed homeowners and connecting them with buyers in order to negotiate the sale. There are other services out there, such as a product from RealtyTrac called “MEGA” available for download that allows investors to filter homes based on vacancy statuses or foreclosure properties making it easier to identify leads. Skip trace software from websites like TLOxp, and Locate Plus are just a couple that could be used to track down the absent owner. Please note that while zombie foreclosures can provide an excellent opportunity for an investor to acquire property at a reduced price, it can be a time-consuming and complicated transaction. In order to acquire a property for an incredible deal with this method, one must remain patient, and as with any investment in distressed property, do proper due diligence on the property beforehand! It is vital that investors do all necessary research on how to buy homes in foreclosure before diving in. www.foreclosureuniversity.com is a helpful resource to learn all about foreclosure process and the steps to make when planning on investing in one. Consulting an attorney for advice may also be helpful. There is little competition in this area of investing because it requires more effort than others. The impressive discount may be worth the trouble in the end, and investors can play their part in helping end the zombie foreclosure crisis.